We all face difficult times in life. Not every day is a sunny day. There are some good days and some bad. God never promised that life would be easy. Actually, Jesus said that in life you will have trouble. But God did promise that He will be our guide. He will give us the strength to move forward in life and accomplish our goals. 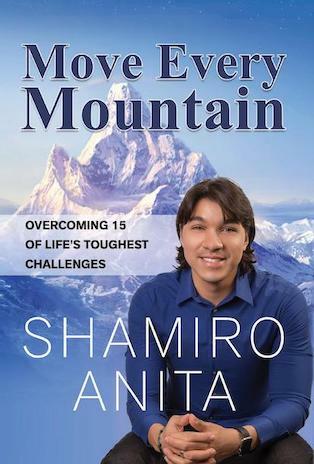 In this book, ‘Move Every Mountain’, Shamiro shows how to overcome 15 of life’s toughest challenges. From how to deal with anger, loneliness, hopeless, to sadness, negativity and failure. You may have been facing mountains that seem so high and daunting, but if you have faith, you will see how God will move even the tallest mountains from your life. The journey will not be easy, but God will be our guide and He will guide us over the mountains of life. All we need is hope and faith. Come on this journey and start experiencing how faith can and will move mountains. Shamiro – Who ministers by creating Christian music by fusing pop/ ballad/classical music- was born in 1990 in Curacao, a beautiful island located in the Caribbean Sea of Holland. He is a young man who despite his barely 23 years of age speaks four languages​​, he already is a Youth Pastor and worship leader of the Abundant Grace Church of Curacao.